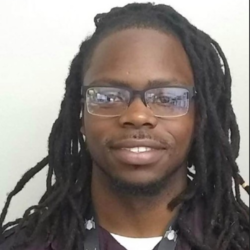 Anthony Orlando Bowers, 24, was pronounced dead at a Greeneville hospital in the early hours of April 8, following an alleged gunfight with local police the night before, according to the Tennessee Bureau of Investigation, which is investigating the officer-involved shooting. Two officers were hospitalized with non-life threatening injuries. Bowers, who grew up in Western North Carolina, had more than a dozen pending arrest warrants in Asheville, where police say he drove into a police car in December, seriously injuring an officer. Bowers was charged with assault on a law enforcement officer inflicting serious injury and felony hit and run causing serious injury. Shortly before 11 p.m. that night, Greeneville police officers attempted to stop a driver who they said was speeding. When the driver failed to pull over, the officers pursued him until he stopped and abandoned the vehicle, running for a nearby apartment complex, according to the TBI. A female passenger in the vehicle identified for police the man they were chasing and took them to his home in Eastgate Arms, a two-level brick apartment building. There, the woman gave officers consent to search the apartment, the TBI account states. It doesn't say whether she lived there. Inside the apartment, officers looking for the driver found Bowers instead. The preliminary TBI report said Bowers didn't reside at Eastgate Arms and "for reasons still under investigation, (he) became combative, pulled a gun on the officers and fired shots."